This page certifies that Inside-Out Cleaning of Blockhouse, Nova Scotia, Canada is a Swept Certified Business. By using Swept to improve communication in their business, Inside-Out Cleaning has proven their commitment to supporting their employees and providing quality cleaning services. WHAT DOES IT MEAN TO BE A SWEPT CERTIFIED BUSINESS? When cleaners are carefully matched with a position it benefits both them and the cleaning company. The company uses Swept to attract great candidates and identify the best cleaner for each job. This leads to positive, long-term employment, which in turn results in higher quality service for your business. By providing cleaners with clear instructions for what is required and proactively reporting any issues that arise to the client, cleaning companies can ensure quality standards are consistently being met. The company uses Swept to communicate to their cleaners what success looks like when cleaning your business, and to keep you in the loop if they have any issues. When each cleaner understands their contribution and how it improves the daily lives of other people, customer satisfaction increases. 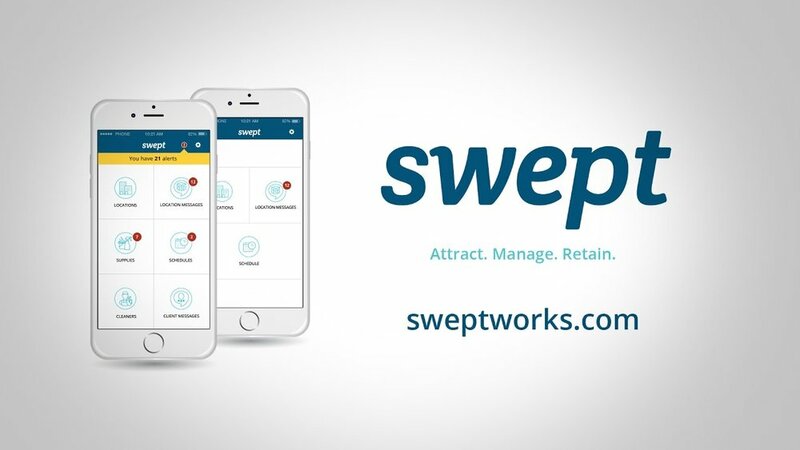 The company uses Swept to recognize and communicate how improving the cleanliness of your business impacts the lives of your team members.